This journal publishes open access reviews on recently published books (both print and electronic) relevant to the journal. Publishers and authors of books are invited to contact our book reviews editor at toaidj@benthamopen.net with book review requests. All submitted books will be reviewed by an independent expert in the field. No page charges will be levied to authors for the publication of book reviews. All clinical investigations must be conducted according to the Declaration of Helsinki principles. Authors must comply with the guidelines of the International Committee of Medical Journal Editors (http://www.icmje.org) with regard to the patient’s consent for research or participation in a study. Patients' names, initials, or hospital numbers must not be mentioned anywhere in the manuscript (including figures). Editors may request that authors provide documentation of the formal review and recommendation from the institutional review board or ethics committee responsible for oversight of the study. Authors of randomized controlled trials are encouraged to submit trial protocols along with their manuscripts. All clinical trials must be registered (before recruitment of the first participant) at an appropriate online public trial registry that must be independent of for-profit interest (e.g., www.clinicaltrials.gov) . If you wish the editor(s) to consider an unregistered trial, please explain briefly why the trial has not been registered. All randomized clinical trials should include a flow diagram and authors should provide a completed randomized trial checklist (see CONSORT Flow Diagram and Checklist;www.consort-statement.org and a trial protocol. 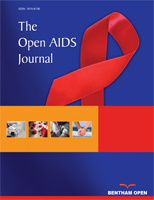 All authors must strictly follow the guidelines below for preparing illustrations for publication in The Open AIDS Journal. If the figures are found to be sub-standard, then the manuscripts will be rejected.